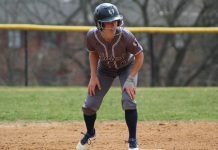 The Rams were clicking on all cylinders Sunday afternoon, as the Dominican College Chargers and Bloomfield College Bears proved unable to stop the Rams' potent attack for long stretches. The Rams (3-0) took down the Chargers (0-4) of Dominican College in three games (25-7, 25-15, 25-14) Sunday afternoon in their match of the day at the Skyhawk Invitational. Later in the day, the Rams faced a greater challenge from the Bears (1-1) of Bloomfield College, but also prevailed in three games (25-20, 25-10, 25-18). Against Dominican, as the score suggests, the Rams got off to a fast start. Early on in the first game, the Rams went on a 9-0 run to stretch their lead to 19-4. Sophomore setter Jessica Karcz had three of her 24 assists during the run for the Rams, while senior outside hitter Amanda Snowden had two of her three kills during the surge. The Chargers could not overcome the Rams potent attack, as they appeared overwhelmed. In the second game, the Rams jumped out to a 19-11 lead thanks to an attack error by outside hitter Deanna Knopf of the Chargers. However, the Chargers would not give up so easily, as sophomore outside hitter Cambriea Hill committed an attack that set the Rams back a bit. 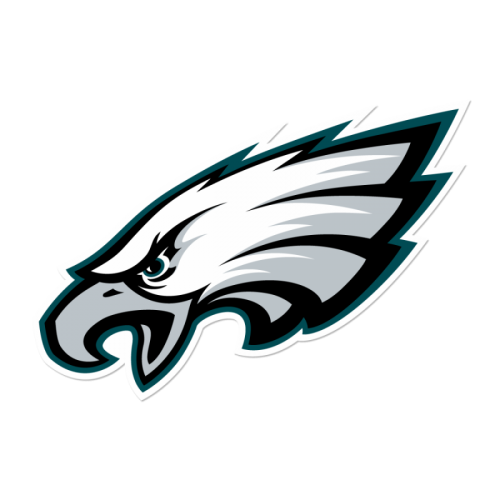 Knopf gave the Chargers more momentum on the next play as she recorded a kill to trim the Rams’ lead to 19-13, but the Chargers’ momentum was short-lived. The Rams went on a 6-2 run to close out the second game, as Hill made up for her earlier mistake by recording a kill to give the Rams a 23-14 lead. Two more kills by sophomore outside hitters Peyton Lindblad and Seone Goode finished off of the second game, as the Rams recorded a 25-15 victory. Already down two games to zero, the Chargers needed to find a spark in the third game, and appeared to find it with their 3-0 run to tie the game at 5-5 early on. These points were thanks to a service error by sophomore libero Imani Major and two attack errors by Goode and Hill. 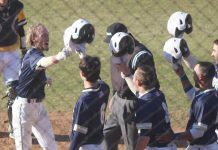 Seeing their momentum slipping away, the Rams saw the need to get back on track, as they responded by going on another huge run, with this time being a 7-0 run. Lindblad had three service aces during the run, as the Chargers also committed two attack errors to aid the run. The Chargers continued to battle, but could not muster enough of a run to seriously get back into the game, as the Rams held on for a 25-14 victory and 3-0 match win. The Rams won in digs (45-31), assists (28-12), and a had large edge in kills (33-12), as they controlled the game in all areas. Lindblad led the Rams in kills with 11 and digs with 13, while Karcz led in assists (24). Against the Bears of Bloomfield College, things did not go as easily for the Rams. In the first game, the Rams jumped out to a 9-4 lead, only to see it nearly squandered later on in the game. The Rams’ lead was dwindled to 11-10 due to a quick 2-0 run by the Bears. Snowden recorded an attack error while outside hitter/middle blocker Jandra Fabian continued the run with a kill off of a feed from libero/defensive specialist Junelly Marrero. The Rams were starting to realize that things would not go as easily as they did in the first match of the day against the Chargers. During the rest of the game, the Rams buckled down and held off a strong surge from the Bears. Later in game one, the Rams went on a 3-1 run as a result of an attack error by Marrero and kills by Goode and Snowden, which gave the Rams a 19-14 lead. Karcz would set up Goode to close out the match, as Goode launched the ball past the outstretched arms of the Bears. In between the first and second game, the Rams made the necessary adjustments, as the Bears would not score more than 18 in the final two games. At one point in the second game, the Rams went on an 11-0 run, causing great levels of frustration for the Bears. Four attack errors by the Bears (committed by Fabian and outside hitter/defensive specialist Danielle Quintanar, who had three of them) fueled the run, as did two service aces by Lindblad and two kills by Hill. No matter what the Bears tried, the Rams always found an answer. In game three, the Bears found some of their footing, as they gave the Rams a much better challenge. With the score tied at 5-5, the Bears went on a 3-0 run of their own to take control of the game. All three points were a result of Rams’ errors. Hill recorded a service error, while Goode and Snowden posted back-to-back attack errors. However, the Rams would settle down and return to their dominant play, as they battled back to take the lead thanks to an 11-7 run. Snowden executed one of her game-high 13 kills on the day off of a nice pass from Karcz, who had an astonishing 37 assists to lead all players. The Rams took the lead for good with a 6-0 run fueled by Snowden and Karcz, which augmented their lead to 22-16 and effectively put the game out of reach, as the Rams posted a 25-18 victory and secured a 3-0 match victory. Hill led the Rams in digs with 14, as Lindblad held the lead in aces, finishing with three. Marrero had a nice game for the Bears, as she led her team with 22 assists, while Fabian carried the Bears with her 11 kills, three blocks, and 15 digs. 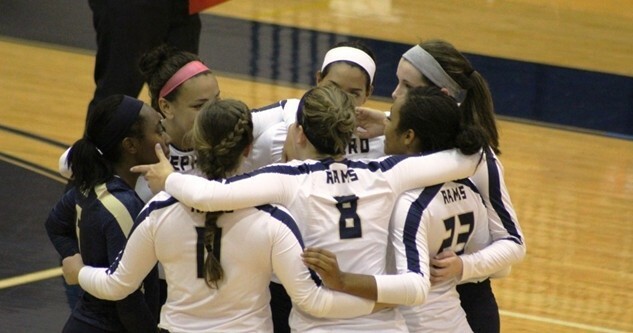 The Rams edged out the Bears in digs 52-50, while maintaining a firm lead in assists (45-23) and kills (47-24). 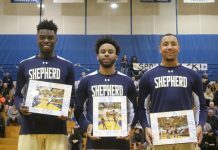 On Friday afternoon, the Rams will have their home opener in the Butcher Center, as they will host Lock Haven as the Shepherd Showdown tournament will begin and run through Saturday night.